During the times of economic crisis, investors tend to flock from investing in certain commodities and they go for gold instead. For instance, when Great Recession started, gold prices rose significantly. However, gold was already in rising during the beginning of 2008, and as stock market bottomed out, gold still bounced back with ease. Therefore, gold prices are stable and rising even when the economy is affected by numerous factors. The price peaked in 2011 and it reached more than $1900, but it went down after a while. The main idea is that gold features price elasticity, which means that as more people are purchasing it, the price will go up as well as demand. It also means that you cannot find the fundamental reasons that are driving the price of gold, because as soon as investors decide to buy the gold, the prices will rise whatever happens. We are talking that this is the result of her behavior, however, other forces can also affect the value of gold on the market, since it is commodity widely used similarly as coffee and oil. However, when we compare coffee and oil with gold, it is logical to state that gold is not consumed for every day usage. Almost all the gold is still in the ground. Of course, there are industrial uses, but that didn’t increased demand as much as investments and jewelry. The total demand in 2017 was 4000 tons, while only 300 tons approximately went to technology sector. Everything else was divided between jewelry, investments and demand for bars and coins and ETFs. At the beginning of new millennia, when gold prices went the deepest bottom, jewelry used approximately 90% of annual demand. You are probably expecting for price of gold to drop over time, since the supply is increasing, but that is not the case at all. Apart from the increase of people that wish to purchase it due to investment and jewelry factors, the supply is depleting and it is limited. For instance, some countries such as China and India can easily act as a store of value, especially if people wish to trade it regularly. The big market movers are central banks that are trying to buy and create gold reserves so that they can improve their wealth and investments. Since the foreign exchange is at large, and the economy is not so great, central bank tends to reduce the number of gold it contains. The main reason for that is because gold is a dead asset, unlike money in deposit accounts and bonds, whcih means that you won’t have a guarantee to get return you wanted in teh first place. The problem is that when other investors are not interested in gold, therefore, tehy are on the wrong side of trade. That creates a result that price of gold drops. They have tried to manage gold sales by using cartel-like fashion so that they can avoid disrupting the market. The Washington Agreement states that banks cannot sell more than 400 metric tons on annual basis. You should visit this site: https://en.wikipedia.org/wiki/Washington_Agreement_on_Gold to learn more on this particular agreement. 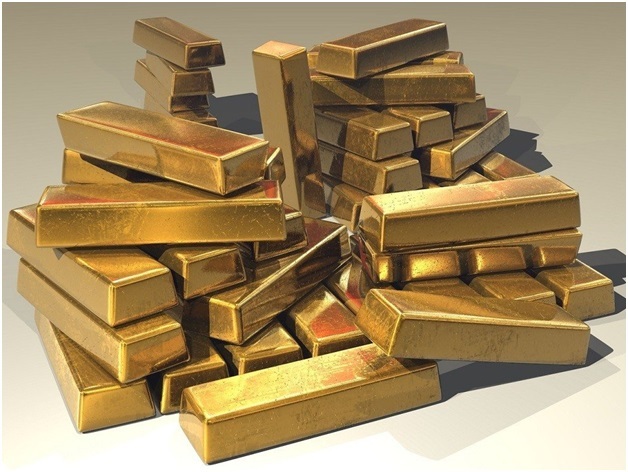 Even though it is not a treaty or binding agreement, it is something that is in interest of all central banks across the globe, since if they sell too much gold, the market will affect negatively their portfolios.